For other uses, see Berești (disambiguation). Berești is a town in Galați County, Romania. It is situated in the historical region of Western Moldavia. Wikimedia Commons has media related to Berești. 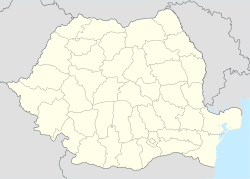 This Galați County location article is a stub. You can help Wikipedia by expanding it. This page was last edited on 18 July 2017, at 10:34 (UTC).